The new book series Modern Masters of Science Fiction sets out to survey the works of outstanding authors „who continue to inspire and advance science fiction,“ as stated on the University of Illinois Press website. It has thus far produced studies of Greg Egan, Gregory Benford, John Brunner and William Gibson. Such recognition of Gibson in this series not only makes sense, it is long overdue in that scores of articles have been published on his influential work, but to date only two book-length studies have been devoted to the entirety of Gibson’s oeuvre: Lance Olsen’s concise introduction, William Gibson (1992), and Tom Henthorne’s recent William Gibson: A Literary Companion (2011). Olsen’s book concentrates on Gibson as a cyberpunk author, giving a short biographical introduction before discussing mainly the Sprawl trilogy and his short fiction and is both limited in scope and outdated, whereas Henthorne simply provides a brief overview of Gibson’s novels, stories and major themes, as well as some of the critical discourse they have produced, but does not really visit paths untrodden. 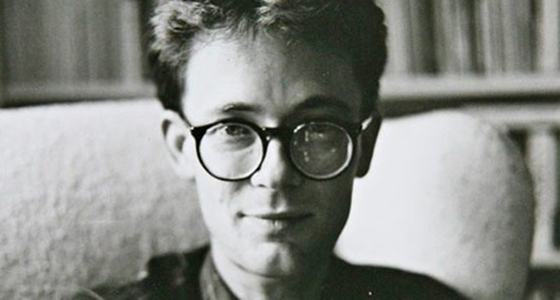 Gary Westfahl’s William Gibson delivers a useful and needed addition by expanding Olsen’s biographical notes and adding substantial analytical chapters, not just on Gibson’s well-known works, but also on rarely discussed material such as his screenwriting, non-fiction and uncollected stories. What makes the book stand out in regard to its contribution to Gibson scholarship is that Westfahl provides a discussion of materials that have never before been considered as part of Gibson’s work. Granted, the cultural usefulness of analyzing Gibson’s fanzine contributions when he was a fourteen-year-old boy whose attention was primarily focused on girls might not reveal itself until Gibson some day manages to either receive a Nobel prize or become President of the United States. Nonetheless, the material presented is astounding in its own right, and the bibliography of Gibson’s writing alone, painstakingly gathered by Westfahl during weeks spent at special collections and libraries, takes close to twenty pages of fine print, thus revealing Gibson to be a far more prolific writer than what the generally known and scrutinized ten novels and one short story collection might suggest. In staying off the beaten path, Westfahl foregoes the opportunity to revel in the thousands of pages of criticism written about Gibson’s Neuromancer (1984) or Pattern Recognition (2003) and instead seeks to provide a personalized reading, „emphasizing each work as a stage of Gibson’s career“ by virtue of a „fresh look at an author who is sometimes employed as an instrument to advance other’s agendas“ (5). Westfahl’s analysis of Gibson is thus deeply biographical and tries to consider both authorial commentary and his own close readings of the works in question. One might observe here that authorial statements do not necessarily qualify as impartial and reliable material for academic analysis, but Westfahl’s overall reading is (for the most part) conclusive and does provide an interesting perspective. In addition, the approach itself does warrant a short comment, as a „Modern Masters“-series would seem to provide primer texts for students and a more general public – ignoring the extensive amount of existent criticism and reading Gibson’s work against the grain seems to strongly contradict that purpose. A comparison with other books in the series, though, reveals that UIP opted for a different kind of introduction, leaving the individual scholars much more leeway in how to organize and analyze the given author’s material. As such, the series covers each author uniquely, with an emphasis on what is special to that particular author or on what has been missing in scholarship, and thus (re-)introducing them to academic readers, not to laymen. With that specialized readership of Gibson scholars (and some sf generalists) in mind, the book provides the most detailed account available, for example, of Gibson’s early biography (in the chapter „Journey to the Future“) and his proclivities for reading not just science fiction but also fantasy, horror and postmodern novels such as Burroughs or Pynchon, or his amateurish writings for fanzines in the form of editorials, reviews and poems (in „A Dangerous Amateur“). In terms of the overall balance of the book though, these two chapters feel like academic leg-work, excessively proving minor biographical details with sources and wading through the muck of an  early development that is useful only insofar as it hints at further discussions of topics later picked up on in other chapters – a proto-history for Gibson’s personal opinions on science fiction, technology, or academia. I doubt that many scholars will explore the depths of Gibson’s „Tale of the Badger Folk“ or his fanzine cartoons for their own sake, although the chapters nonetheless provide an entertaining view of a famous author-to-be as struggling with typical teenager issues and experimenting with artistic styles. The strength of the book lies in its discussion of those texts that have already garnered significant critical attention, thus providing a fruitful biographically inspired reading of these texts as an addition to existing criticism (which reads them as postmodern texts, as dealing with cybertechnology, and so on). Westfahl’s analysis of the Sprawl trilogy in the chapter „Legends of the Sprawl“ showcases Gibson as an author struggling with expectations of a genre he did not quite feel at home in. Tracing Gibson’s use of the science fiction trope of space in the trilogy, Westfahl reveals, for example, Gibson’s unease with space travel and provides a compelling argument for a continuous negotiation of space in terms of metaphor – using it to describe his virtual worlds, or even the Sprawl itself – and later abandoning it altogether. Similarly, Westfahl shows Gibson’s departure from projections of the future, and his shifting attitudes in the discussions of computer technology by giving detailed account of the uses of such devices in the different novels. One problem that arises from the biographical approach is the possibility of its overextension. Westfahl continuously interprets autobiographical commentary in Gibson’s protagonists, narrative devices and thematic interests: the one-on-one conflation of Gibson with the insecure and immature Case who „mirrors the struggles of Gibson himself“ (65); a meta-commentary on his cyberpunk affiliation in Virtual Light (1993) when his characters show their „inability to employ sunglasses that reveal a virtual world“ (115); or conflating Gibson with his character Garreth from Zero History (2010) when discussing the computer technology community that „decisively indicates that Gibson does not consider himself part of that circle“ (157). As fruitful as biographical analysis proves to be in some aspects, it seems as constructed and overemphasized in others. The right balance is hard to find and thus readers must determine how strongly Gibson himself is reflected in his writings. Westfahl’s final chapter, „All Today’s Parties,“ with its thorough discussion of Gibson’s most recent novel cycle is the most interesting part of the book. All of the established tropes and themes from previous chapters connect and reveal the image of a writer at peace with his science fiction heritage and employing it to his best use. The world has become science-fictional and Gibson feels snugly comfortable to use his own style in recording a „secret history“ (148) of the present, pulling back the curtains of reality to reveal the fantastic and science-fictional aspects of our twenty-first-century present. In these  parts, Westfahl’s (sometimes quite list-heavy) accounts of the use of science fiction tropes or intertextual references come in handy, as they prove beyond doubt that Gibson flaunts his sf background at readers, that he situates himself in a present-day realistic world that nonetheless is best described in terms of science fiction. The hesitation for or against science fiction that Westfahl attributed to Gibson in his chapter, „A Bridge to the Present“ (discussing the Bridge trilogy), has completely dissolved and Gibson appears all the more proficient at catering to both literary and genre audiences at the same time. All in all, the book is an interesting read and, for Gibson scholars, a definitive must-have as it is the most thorough research resource available on this important author. The book could have gained from a stronger interaction with existing scholarship surrounding Gibson, making it less detached from current sf discourse and also counter-balancing the unusual methodology of biographical analysis. However, the analyses provided by Westfahl are cleverly researched and based in excessively close readings of Gibson’s writing. And they indeed provide a „fresh look“ on such influential work, proving Gibson to rightfully deserve a place among the Modern Masters of Science Fiction. Schmeink, Lars. “Gary Westfahl: William Gibson.” Journal for the Fantastic in the Arts 25.2-3 (2014): 486-89.